We have been family owned and operated for over 40 years, providing automotive solutions to a variety of customers in Long Beach and Southern California. Consumers from Torrance to Cerritos have trusted us for years to provide everything they needed – from new and used cars to service to financing. If it deals with automotive, we can handle it for you here at Timmons Volkswagen of Long Beach. Being family owned for so many years definitely has its advantages. High on the list is the fact that we just know what people are looking for when it comes to their vehicles. We have many customers that have shopped with us for years. But even if you are new to the area or our dealership, we would love to welcome you to our family. 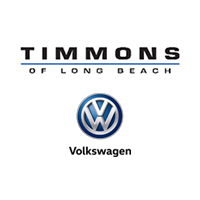 Once you do business with us in any capacity, you are part of the family here at Timmons Volkswagen of Long Beach. There’s so much to love about what we offer consumers in Long Beach and the surrounding communities. Stop in and see what makes us so special. We often refer to ourselves as an automotive solution, because we actually are just that. Whatever you need in the automotive realm, we will be here for you. Don’t hesitate to contact one of our service professionals for the latest and greatest of what we have to offer. Since our customers are our family, we love to see them on a regular basis. Please feel free to stop in, call us up or contact us through the website. We’ll answer every question you have for us right away. Our customer service is a big part of what separates us from the crowd.